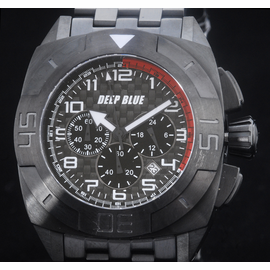 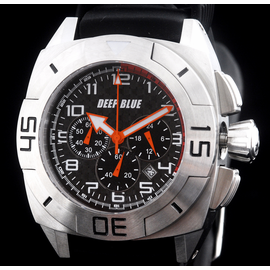 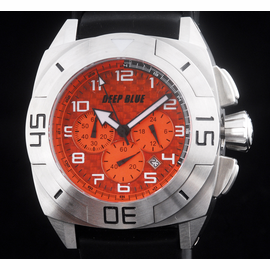 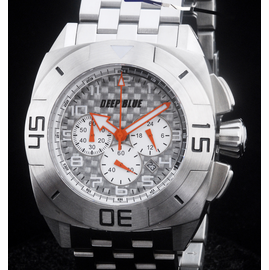 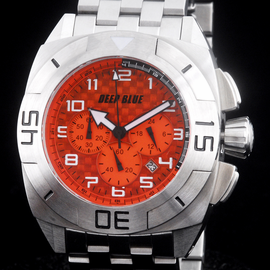 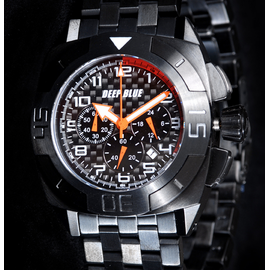 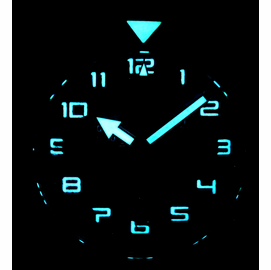 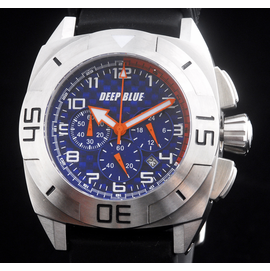 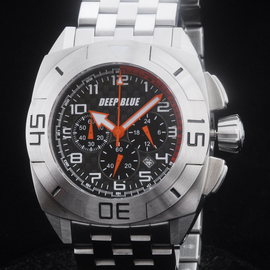 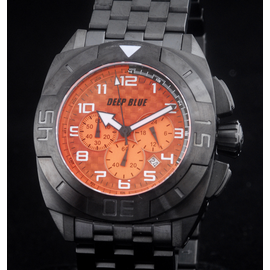 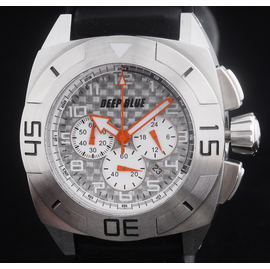 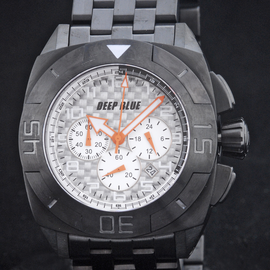 Blue Carbon Dial with Orange Hands, Stainless Steel Unidirectional Bezel 120 click, BGW9 BLUE lume, Stainless Steel Braclet, Date, Chronograph, Individual Serial Number. 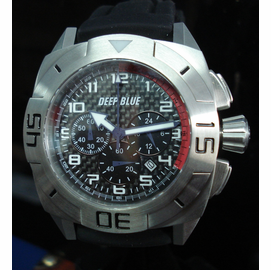 Case: 5-part, Diameter 44.00 mm, height 17.00 mm, 200M / 660 FEET Depth rating, Sapphire-crystal 4.0 mm, 24mm Strap lug with screws, Screw down Crown. 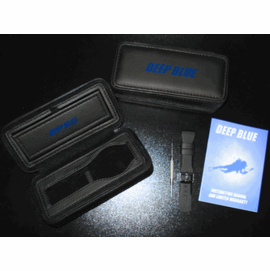 INCLUDES: 24.00 mm Stainless Steel Bracelet, 24mm Rubber band 2pcs, 24mm Nato Band, 24mm Velcro Ballistic band, 1 screwdriver, Travel Kit.